Scientists have identified the top suspect in the mysterious die-off of millions of sea stars along the west coast. Millions of starfish from Mexico to Alaska have lost their legs and turned to mush, confounding and alarming scientists and beachgoers. In affected areas, the mortality rate has been as high as 70 to 99 percent. The phenomenon is known as "sea star wasting disease" but the cause has remained unknown. Researchers from UC Santa Cruz, Cornell University and other institutions now have strong evidence that links the disease to a densovirus, a type of parvovirus commonly found in invertebrates. In a paper published in the Proceedings of the National Academy of Sciences, the scientists report that densovirus is also present in museum specimens of sea stars as far back as the 1940s. That means that while the virus has long been present in sea star populations, something has triggered the recent outbreak. Mass sea star die-offs have occurred before, says Peter Raimondi, chair of the Department of Ecology and Evolutionary Biology at UC Santa Cruz. But they all corresponded with El Niño years that brought warmer waters to the Pacific Coast. "The key difference with other outbreaks is that in other ones it was unambiguously associated with warm water," Raimondi says. This latest die-off doesn't follow the same pattern. Previous outbreaks spread north as warm waters moved up the coast, but the current outbreak has occurred as a series of individual incidents, popping up all over the west coast, first in the north and then further south and then back in the north. Some of the affected areas saw warmer temperatures but some didn't, Raimondi says. This outbreak has also lasted longer and affected a larger area than ever before. Raimondi and his colleagues are still researching what's driving the current outbreak. They haven't ruled out warmer water entirely, but they're investigating a variety of other environmental factors, from pollution to ocean acidification to a decrease in oxygen in the water. "We don't know if it's an isolated example taking root and spreading, and doesn't portend anything in future," Raimondi says, "or if this is a portent of things that will become more common in the future." Researchers aren't sure whether the sea star population is going to be able to rebound from this die-off. The bad news of the study is that, besides sea stars, the virus is found in sediment and in sea urchins, although the urchins don't show symptoms of the virus. Raimondi says the sediments and urchins are acting as a reservoir for the virus and might infect new generations of sea stars. Beautiful and brightly colored, starfish are a charismatic species and a favorite of beach goers. They're also voracious predators. Starfish are called a keystone species, meaning they're at the top of the food chain and have a major effect on the ecosystem. 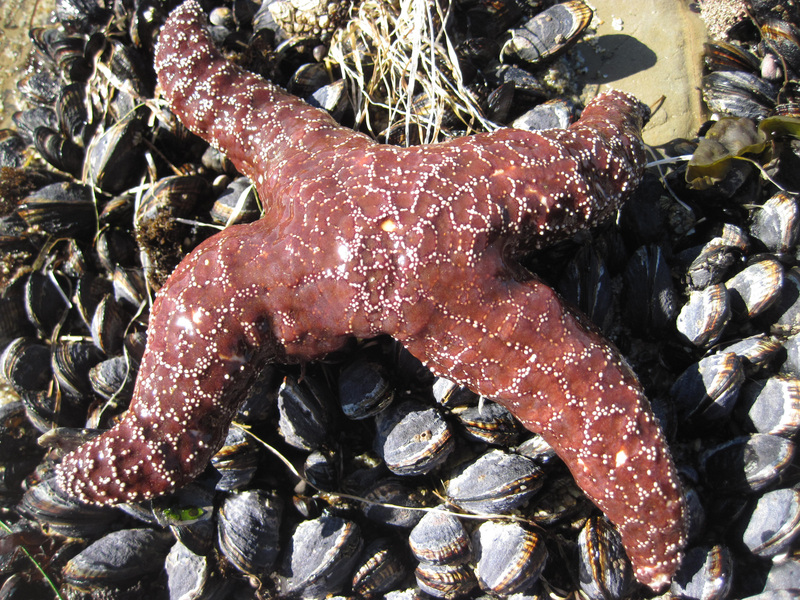 A significant decline in sea star species could have profound ecological consequences, Raimondi says, changing marine ecosystems along the west coast. 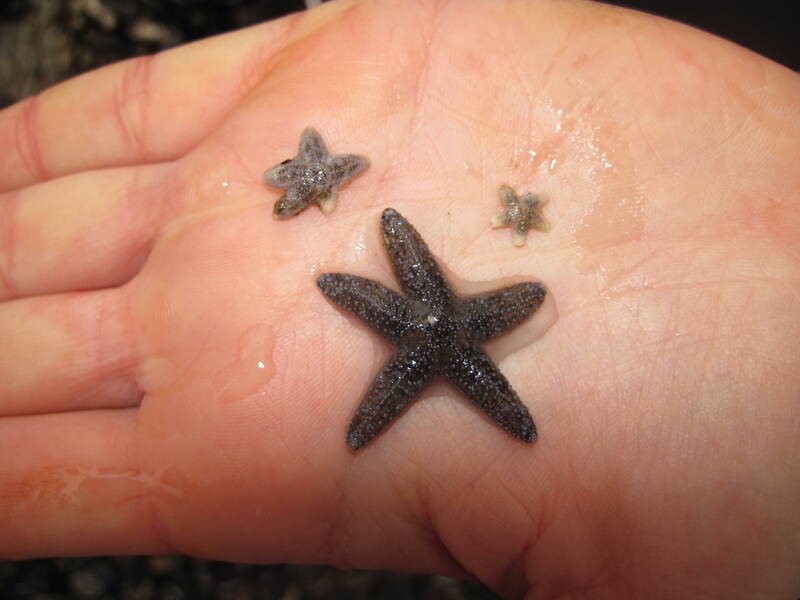 The good news is that researchers are finding huge populations of baby starfish in some of their monitoring areas. "When animals get stressed they tend to reproduce," Raimondi says. The sea stars may have responded to the viral outbreak by reproducing even more than usual. The baby sea stars then drift away from their birthplace on ocean currents. "Because babies tend to go somewhere else, they can repopulate other areas, so recovery can be quicker than we thought." Raimondi encourages beachgoers, boaters, and divers to visit seastarwasting.org to see pictures of diseased and baby sea stars and to submit information about their own sightings. "We welcome observation," Raimondi says. "The public can help immensely in our understanding of what's causing this and what the recovery prospects are like." You can see scientists at work trying to solve the mystery of sea star wasting disease, in this QUEST TV story, filmed earlier this year.